Hose sleeve is constructed of tightly woven nylon filament and is resistant to abrasion, cuts, heat, and UV/Ozone deterioration. 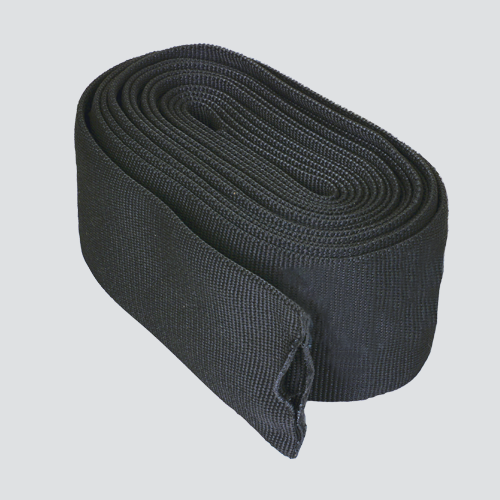 Sleeving extends hose life and safely deflects high pressure oil spray in the event of a hose leak. Sleeves are also commonly used to protect wiring, cables, and chain from external damage. Easy to install, and can be held in place with nylon cable ties or banding. Available in 15' lengths.